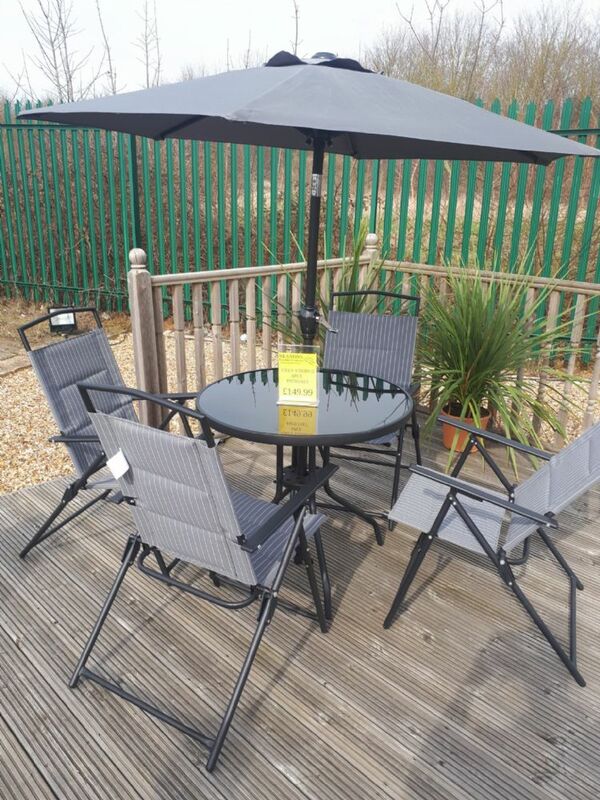 This luxurious product at the lowest possible price, brings you high quality, yet affordable outdoor furniture. 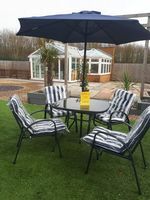 Black powder coated metal framed table with black glass top, navy parasol and 4 black framed flat pack chairs. 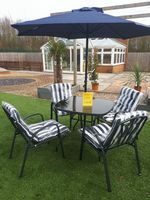 Chairs come with thick navy blue and white striped full seat cushions. Black powder coated metal framed table with black glass top. 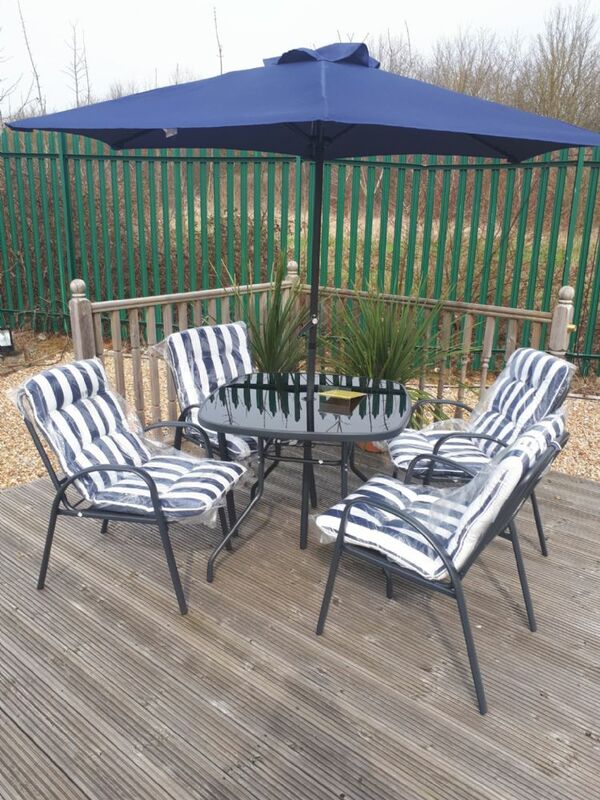 4 Black framed flat pack chairs with thick navy blue and white striped full seat cushions. Navy parasol with manual hand winch to open and close. Parasol Bases are sold separately.